Bunker grew up as a member of the elite in India, but then changed course. He went to dig wells in villages and eventually set-up the Barefoot College. A professional is somebody who has a combination of competence, confidence and belief. Here is some background from the College’s web site. 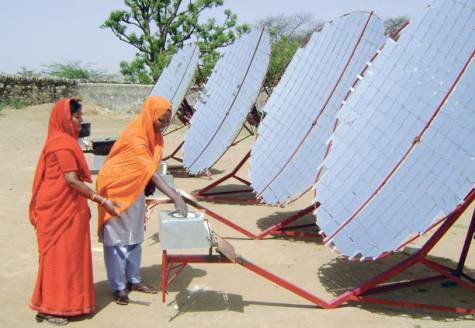 These ‘Barefoot solutions’ can be broadly categorized into the delivery of Solar Electrification, Clean Water, Education, Livelihood Development, and Activism. With a geographic focus on the Least Developed Countries (LDCs), we believe strongly in Empowering Women as agents of sustainable change. Since its inception, the long term objective of the Barefoot College has been to work with marginalized, exploited and impoverished rural poor, living on less than $1 a day, and lift them over the poverty line with dignity and self respect. The dream was to establish a rural college in India that was built by and exclusively for the poor. What the rural, impoverished and marginalized think important is reflected and internalized in the beliefs of the College. The Barefoot College is one of the few places in India where Mahatma Gandhi’s spirit of service and thoughts on sustainability, are still alive and respected. In the late 60’s, a very small group of determined individuals in India, coming out of a sound educational system, felt it necessary to look for alternative ways of living, thinking and looking for rural solutions. With very little resources and no long-term ideas, they chose to start a process of re-learning in different rural parts of the country by living in remote villages with the people. There was no fixed agenda. By the early 70’s, India witnessed coming together of minds and different ideologies. Urban educated persons and professionals started their own search for working models. The processes set by them were in terms of approaches and methodologies. While some of individuals chose to live in villages, others thought it better to base themselves in big towns and cities of India. The Barefoot College was the coming together of urban educated persons and professionals in 1972 including Bunker Roy; as its founder, a cartographer and a typist. The coming together was validated by this collective registering itself as the Social Work and Research Centre (SWRC) that is more popularly known as the ‘Barefoot College’ today. The term originally comes from the Chinese health workers who were villagers trained to assist their own rural communities in the 1960s. The name emphasises the organisation’s commitment to poor, neglected and marginalized sections of society. In 1972, forty-five acres of Government land and an abandoned Tuberculosis Sanatorium (consisting of 21 buildings) was leased from the Government at Re.1 a month, to serve as a campus. 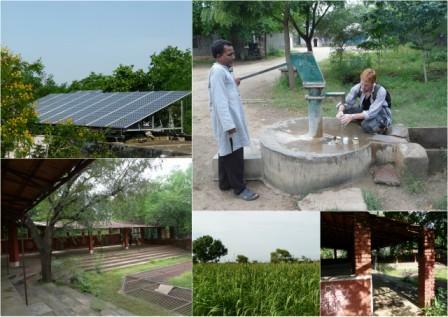 Barefoot College started working in the village of Tilonia in Rajasthan, with a population of about 2,000 people. At the time of its inception, the organization was envisioned as one which would attract young, urban persons and professionals to come and work with local rural communities in an integrated development process. Most of the people working at the College were geologists, economists, doctors, medical and social workers, chartered accountants, graduates and post graduates from universities who were out to serve in the villages. The participation from members of the rural community was only limited to men as the College was misunderstood as a missionary organization with intentions of converting their religion. Rural women were thought to get corrupted by being exposed to the organization. Members of the College focused their efforts on trying to find out the needs and priorities of village communities to improve their standard of living and quality of life. The idea was to upgrade their existing traditional skills and knowledge through training, and to help them take control over basic services at the grassroot level. The College struggled and campaigned for justice and what was laid down by law, as well as to bring about transparency and public accountability towards the rural communities in whose name the funds were received. The early 80s saw a substantial change in the nature of the College work force, with locals forming 80% of the organization. Such a change was partly due to the departure of urban trained professionals who could not stay in rural areas for a long period of time as most of them eventually moved on for ‘good jobs’ and parental pressures. However, this also meant that the locals, for whose development the organisation was set up, were taking charge of activities and initiatives right from planning to completion, thereby reducing dependency on external aid and learn to self sufficient. The Barefoot College aimed to adopt a new approach and understanding of social work and community development by using the local skills to achieve people-centric and participatory development that was sustainable rather intimidating them by using knowledge from outside. Respect the wisdom of traditional knowledge and mould it with the involvement of rural communities to meet their needs. It identified and worked for only poor and marginalised farmers, landless peasants, rural artisans, women, children, and scheduled castes and tribes as its target group. Barefoot College has witnessed a process of evolution and change in its aims and ways of functioning to provide simple solutions for rural problems but its six non-negotiable values have been equality, collective decision-making, self-reliance, decentralization and austerity. These are respected right from matters such as the salary structure of the organization to the fact that all the workers and visitors, irrespective of caste and class barriers, eat in the same mess and wash their own plates. Barefoot College has also been very flexible, adaptive and innovative in its approaches and has learnt from its own mistakes and changing times. Here is a short video introducing the College.